Now that I am heading to the US for a vacation, I want to lose some weight because no one comes back from the US without weight gain, and I cannot afford to add anymore to my already increased weight! Since I have to finish my work commitments before I head for my vacation, my schedules are going to be super busy and as always, I am not going to have time to go the gym. Hence a few days ago I started finding out other safe options that would work for me since there are so many these days, and came across this really cool concept by VLCC called the VLCC Coolsculpt. Coolsculpting is a non-surgical way to reduce excess fat from the body without harming or damaging other cells or tissues. Confused when I say non-surgical way to reduce fat? Believe me, it's not impossible, and I am going to tell you all about it. 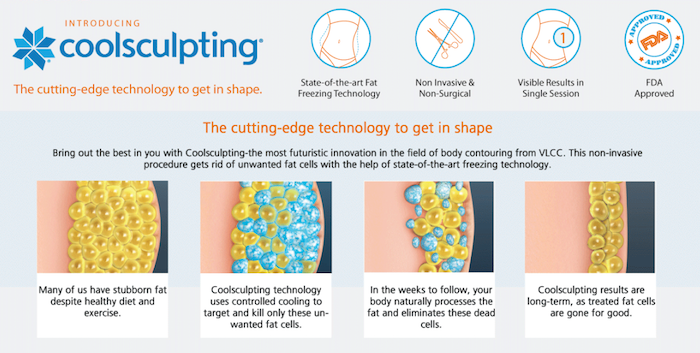 Coolsculpting uses a patented ultra-low temperature spot cooling process called Cryolipolysis which targets the excess fat areas of the body and freezes the fat in those particular areas. There is a special type of white blood cells in our body called Macrophages which digest and consume these crystallized fat cells, and the debris of the same are slowly cleared through the lymphatic system which leads to a permanent reduction of the fat cells of up to 25% from the treated areas. 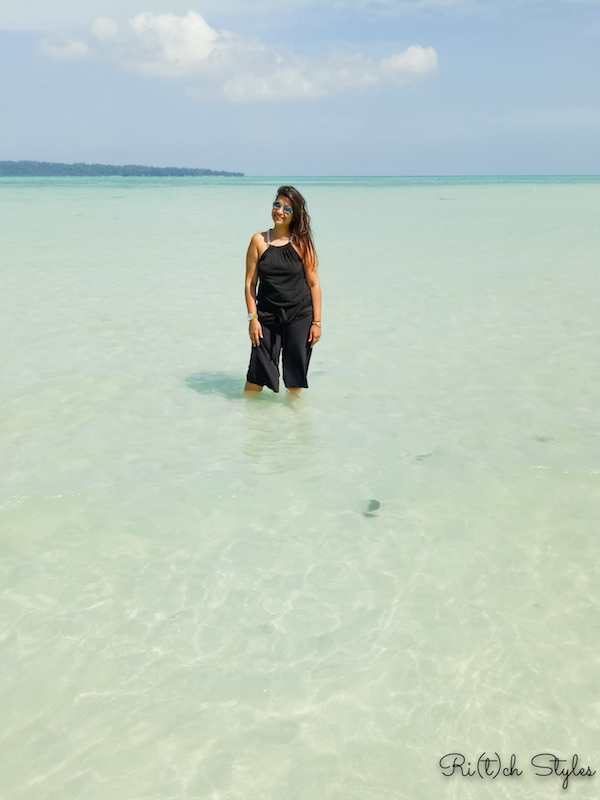 What made me zero down on this concept was that in traditional weight-loss programs, the size of the fat cells reduce but their number doesn't change, while via Coolsculpting the number of cells itself reduce. For this treatment, a special combination gel and film is used so as to protect the skin from damage caused by low temperatures. Each part of the body is treated with a different applicator depending on the shape of the body part to be treated, so that the result is optimum. Coolsculpting has been an amazing non surgical approach to smaller pockets of fat. Expectations must be kept in check. 25-30 percent reduction is considered a success with coolsculpting. The procedure is helping to tighten skin as well in a significant way. Shop around for prices, they may look the same on the surface, but they are not.